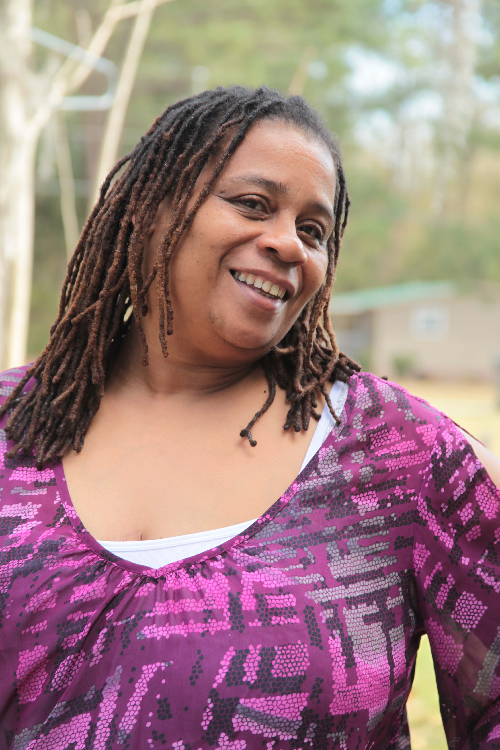 Theresa Gilchrist started having swelling and pain throughout her right breast in January 2011. At first she didn’t give it much thought, but she got scared when she noticed that the problem did not go away but got worse after a few months. This frightened her because she had a sister who died of breast cancer at an early age. Very nervous and afraid, she went to see the Nurse Practitioner at the Diversity Health Center. She did a breast exam and told her that she needed a mammogram. This worried her even more, because being a single parent, she could not afford insurance, and therefore she could not pay for the mammogram. She explained this to the Nurse Practitioner, who told her about a Komen Coastal Georgia funded program at the Liberty County Health Department that paid for mammograms for women who could not afford them. The Nurse practitioner then referred her to the health department. She went to the health department and explained her situation. The nurse reassured her. She told her that she could get help through the BRAVE project, a program that paid for services for women with breast problems who couldn’t afford a mammogram. She then scheduled and appointment for Theresa at Liberty Regional Hospital for a mammogram. Within a few days, she got the mammogram. She was told it was abnormal. It looked suspicious. She needed a diagnostic mammogram. The BRAVE project paid for the diagnostic mammogram as well. That was good news! Unfortunately, the diagnostic mammogram results were suspicious for cancer. Further tests revealed that she did have breast cancer, and that she needed surgery. The news hit Theresa hard, and it took her a few days to process everything. The BRAVE program continued to work with her though. She got her to surgery and was there for her surgery! She has also continued to work with Theresa after the surgery.